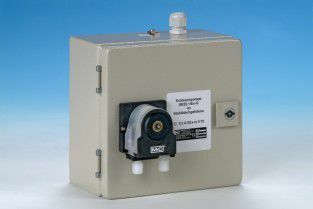 ApplicationThe peristaltic pump SR25.X-X has been speciallydeveloped for condensate removal inanalysis applications. It ensures a continuouscondensate discharge in gas coolers, condensatecollecting vessels, etc. 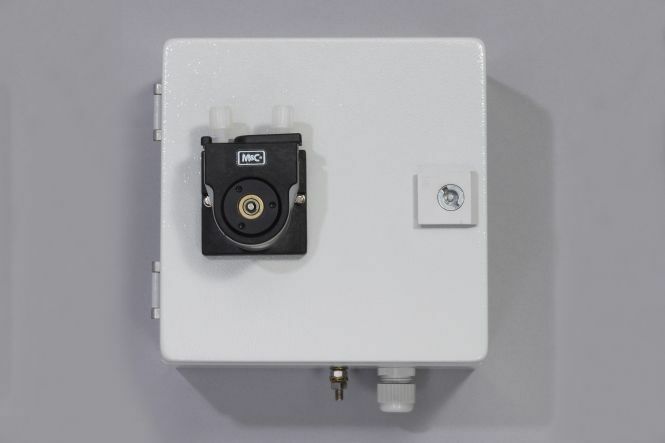 A synchronousmotor and the gearing unit with return stopmake a condensate flow back impossible.The capacity of 0.3 l/h guarantees a safe condensateremoval, for example when cooling850 l/h sample gas with an initial dew pointof +70 °C (158 °F).DescriptionThe peristaltic pump SR25.X-X is self-suctioningand designed for continuous operation. Itconsists of 3 compact parts:• synchronous motor• gearing unit with return stop• pump headThe slow speed, the two PVDF contact pulleysand the different tubing materials guaranteea good mechanical and chemical resistancewith a long service life. Pre-assembled flexibletubing sets make it easy to replace tubing,even without using any tools. 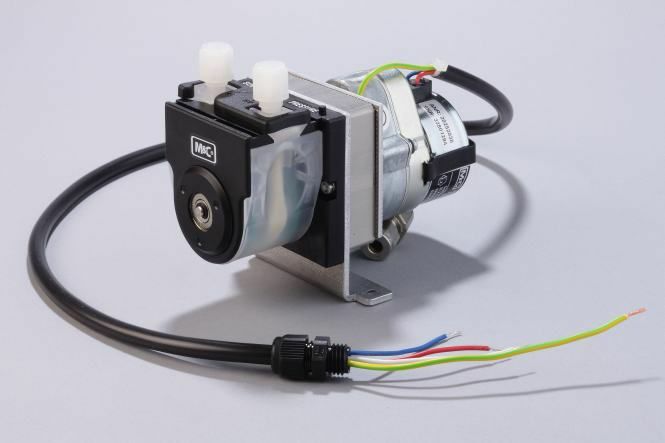 The tube connectorDN4/6 also allows connecting PTFEtubing.